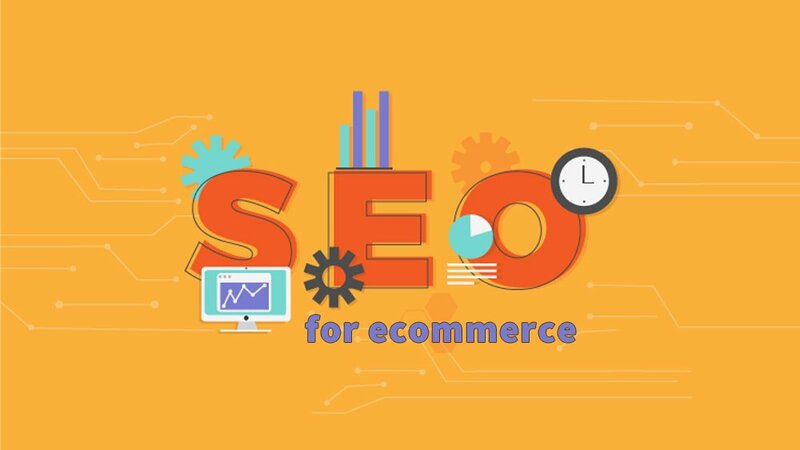 As most of the articles I’ve written on the subject suggest, SEO, formally known as search engine optimization, consists of many factors all of which can impact the visibility of your store and products within search engines. What makes matters worse is that the rules algorithms used by Google to choose which pages rank highest for a specific query keep changing. Thus SEO means constantly chasing a moving target. As a result few websites have it “all right” and trying to get there can be both time consuming and expensive. This article isn’t going to deep dive into all those different things you can do to improve your SEO. 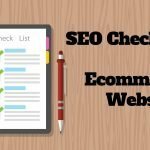 Rather, I am going to focus on the SEO basics you should follow as you write product descriptions, blog and educational content. These tips have withstood the test of time and should be incorporated into your content and design strategy. I have been writing web content since 1998, well before SEO really existed. I’ve watched it change enormously. I also remember when it was far easier to game the system. Do you remember ever reading a page that has a keyword repeated all over the place? It was often awkward to read. Sometimes site owners would stuff a bunch of keywords on the page in the same color as the background so the user didn’t see it, but Google did. Those techniques actually worked – for a while. Then the hammer came down. Keyword stuffing became a really quick way to find your page removed from the search results. Hence my recommendation, don’t try to game the system. Sooner or later it will catch up with you and you won’t like the results. Do not write your content with the goal of perfecting it for a search engine. All the math and keyword recommendations you’ll read about elsewhere NEVER trump writing for the reader. All search engines seek to deliver the best and most relevant answer to the question (query) entered by the user. Google has been saying this for years. They want to focus on delivering the best results. your content will be more engaging. This equals more time on page – a positive SEO signal. more people will want to share or link to it – a positive SEO signal. readers will be more inclined to read more of what you have on site – another positive SEO signal. As promised, I’m not going to deep dive into keyword research, density or any of the usual here. My focus here are on the basic tips that you can apply now, and as you write new content, that will remain evergreen (you don’t have to perpetually tweak and update) over the long haul. 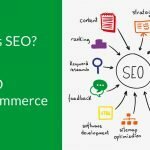 If and when you hire an SEO professional, you will make their job easier, and often less expensive, if you follow these basics. 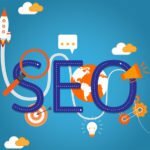 For those of you who can’t yet afford an SEO professional, these tips, along with the #1 Rule above, will serve you well. 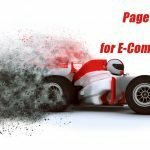 Your website as a whole – Think of how you shop. What questions do you have about a store before you buy? Your website needs to answer these questions. Some answers you may want to be very visible – things like “Fast, Free Shipping,” or “Free Returns” are important value statements that can help sales. FAQs page – this is for issues not included in your policy pages. Your store may, or may not, need one. If you get the same questions from your customers on a recurring basis, put them on a FAQs page. Articles and educations content – This is where you really write for search engine visibility. These feed the upper and middle areas of the sales funnel. Here is where you address all the pre-purchase questions. Write content that reflects the issues your customers are seeking to solve. SEO used to be a numbers game. “Use your keyword in X headings and X times to rank well.” Those days are coming to an end. Metrics like keyword density are not unimportant but are less important these days. Everything points to rule #1 – Write for the reader. So here’s a point-by-point cheat sheet. It pays to have a focus keyword for your page. Keep in mind that those that would be considered most valuable to your page – the shorter, direct phrases, are often very tough to rank for as they can be very competitive. The other consideration here is that the shorter the keyword, the further away from a buying decision your reader likely is. While you should use these in your writing, don’t expect to quickly rank well for them. On a product page, your main keyword will be the product’s name. Shorter is better per Google. Gone, along with keyword stuffing, is the need to have urls that look like this – www.website.com/category(keyword)/subcategory (keyword)/product. These days, www.website.com/product or page is best. While your URL can influence your ranking, it is by no means the most important factor on the page. IMPORTANT: If you decide to change your urls, be VERY sure you have a redirect created from the original. Otherwise you’ll deliver any inbound links to a broken page and lose any SEO value that page has. Another word about URLS, unless you have super wonky URLS like www.website.com/category/pageid=175530 or legacy dynamic urls, you may actually not want to change your URL structure if your pages already have high rankings. This type of change, especially when done site wide all at once can cause a drop in visibility, and traffic. While this impact is generally temporary, no store owner wants this. If this applies to you, work with an SEO expert before making any changes. Your page name should be an H1 and this is built into most store and website templates. If it isn’t built in, have that changed. Don’t use another H1 on your page. There should only be 1 H1 tag per page. Keep in mind that your header tags – H1, H2, H3, etc. are used to define specific blocks of content and their hierarchy in relationship to the topic. If you just want larger text, resize the text. Only your “headlines” should use H tags. It is a good practice to use your keyword in headings, at least once. But once again, focus on readability. If you’re putting your product name, verbatim, in every heading it looks wonky and may be viewed as keyword stuffing so don’t do it. Headings are a great place to introduce semantic language. Semantic language simply means other words that further describe, or would be used, in a discussion of your primary keyword. For example, let’s use the keyword “mouse.” Alone it could mean a computer mouse or an animal. The semantic language on the page helps google, and your readers, understand the contest around the keyword mouse. If your product is a computer mouse, there is other related words that might be present. Words like: Windows, iOS, wireless, right-handed, DPI, etc. Semantic language should be present throughout your page. This is where your expertise naturally shines. Synonyms, antonyms, and different versions of the same keyword all enhance the readability of the page and naturally add semantic language. If you need ideas, enter your keyword on Google, and look at the suggestions under auto-complete. Some of those can be useful. Then review the suggestions at the bottom of the Google results page. Click through a few of the suggestions for more suggestions. Keep in mind that the world is increasingly moving to searching by voice. You may want to use voice search type language on your pages to help rank higher for those terms. It’s very clear that Google prefers long content. Most likely because the answers on longer pages are more comprehensive. A few years ago, 300 words was enough, then 500 words, now it’s either 900 or 1500 depending on whose recommendation you’re reading. I’m going to suggest a better alternative – write as much as you need to, to answer the question thoroughly. Babbling on to try to reach an arbitrary word count isn’t good for the reader so it will be counter to Google’s goals. If your article is running into thousands of words, you may look to see if its better suited for multiple articles. Then link the related articles together (internal linking IS a valuable SEO strategy). Write well. Give thorough information. Spell and grammar check your pages. I use both Grammarly and Readable.io. They do offer free versions but their paid versions are inexpensive. Link to outside references (not competitors) when relevant. Google likes outbound links. Your Meta/page title is important. It should contain your keyword, ideally at the beginning, be no more than 70 characters (55 is better for mobile), and not contain word repeats. It should also ideally not be identical to the Product name or article title. One options is to add | Your Site Name to the end. Meta keywords are worthless. Google doesn’t crawl them and information in that field is available to your competitors. Leave it empty. Meta description is used by many search engines as your description on your page. Google will pull from your product description if you don’t have one, and sometimes do it anyway if they view what is in your content as a better response than what you have written. Until recently, the recommendation was to keep your meta description between 125 and 160 words. Last week, Google decided to allow longer descriptions to show; up to 300 words. Take advantage of this longer description where you can as it will make your listing stand out on the page AND push your competition lower. Where it makes sense, link to related content on your website. This can be products or content. This helps spread the “wealth” of SEO power from your strongest pages to weaker ones. It can also help substantiate your page as an expert resource that covers many related topics. There should be at least one image on every page. Two cliches absolutely apply here “People don’t read” and “A picture is worth 1000 words.” Pictures also break up the page for the eye and make them easier to read. Be sure to include a written alt-description describing what’s in the picture. You can, and should, use your keywords in alt-descriptions when it makes sense but again, avoid stuffing. This is by no means a comprehensive list of what you can do to get a page to rank well. However these tips offer an excellent start that doesn’t require extensive SEO knowledge and should withstand future algorithm changes Google will deliver into the future. 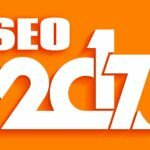 SEO 2017 – Yes it’s still relevant!